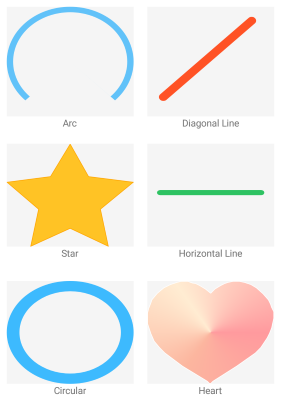 RadPath is a control which can be used to draw complex shapes that are composed of different geometries like arcs, ellipses, lines and rectangles. Styling options: RadPath exposes a few useful properties for defining the colors of the drawn shape. For more info go to Getting Started topic. Geometry support: You could implement any shape through the RadPathGeometry object which contains Figures such as Line and Arc. For more details on this check the following topic: RadPathGeometry.